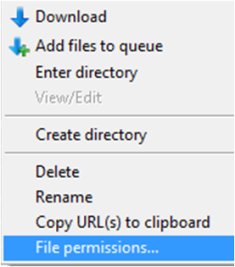 In this tutorial, we&apos;ll be using Filezilla to set permissions for files and directories. First, open up Filezilla. Enter your full domain name under "Host". 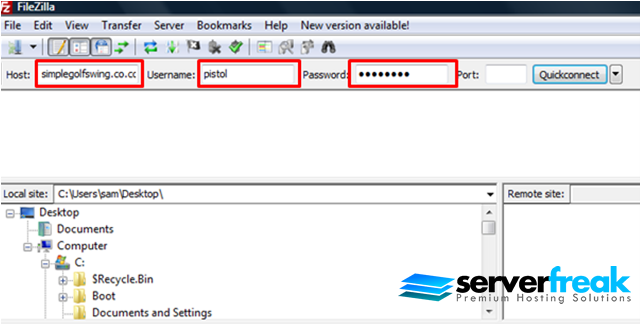 The username and password you need to type in are the same as the ones you use to log in to your cPanel. The FTP port is 21. Once done, press " Quickconnect ". 2) You shall see the file listings once you have pressed the " Quickconnect " button. If your username and password are correct, it will show "Directory listings successful" which is shown below. 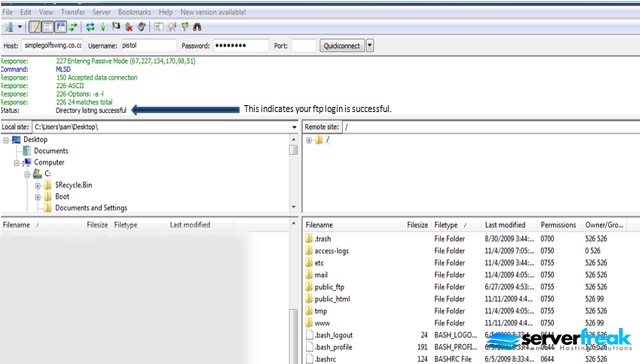 3) To start editing CHMOD, highlight the target directory or file by right clicking it and choose "File permissions". 4) Enter your CHMOD values under "Numeric Value". Press " OK " to finalize your changes.